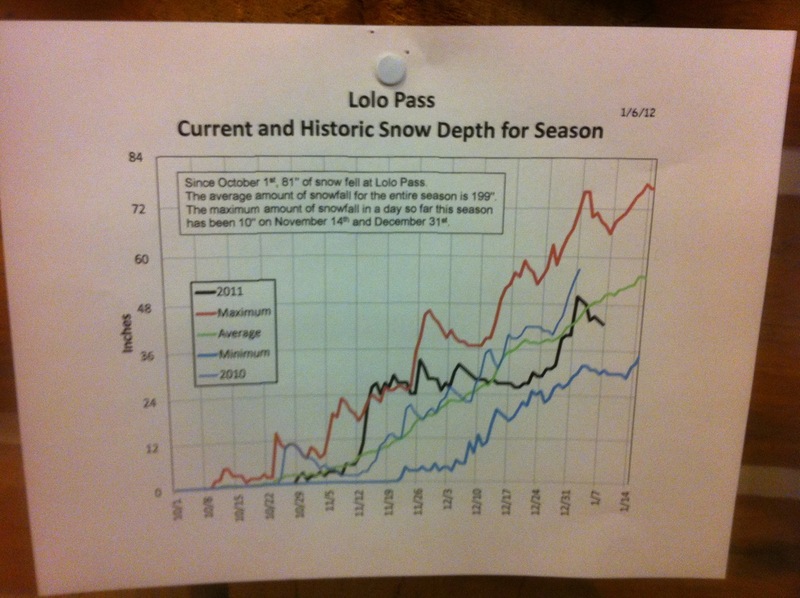 Note, for the regular readers, this is a more technical post for conditions at Lolo pass. Sorry to spam your inboxes, at least there are pretty photos and y’all know I’m being safe. Making the best of a grey day. Looking at Montana from the Idaho border. I skinned out of the Lolo pass recreation area to the peak just southeast of the parking lot- I was solo, so conservative skiing and careful avalanche investigation were the themes of the day. I dug two avalanche pits, one on the south aspect, one on the north aspect. Videos from my tests are below. It’s been a long time since I dug a pit and may have forgotten some of the process, but there’s only one way to remind yourself. In each case I picked a location that I thought was indicative of avalanche terrain, but in which I had immediate access to anchors and with minimal snow above me (essentially just below the rollover) in the event of a slide. It seems like the snowpack is definitely more consolidated from the high avy danger earlier this week, but there are some prominent layers, wind affected snow, and wind affected loading. I skied the north facing aspect on mostly +/-20 degree terrain back to the cross country trail, and felt no instability (granted, there wasn’t a whole lot of snow either!). If you have feedback on how I can make my pit tests more useful, please post to comments. This is about being safe and having fun. The South aspect pit was dug in 100-108cm of snow, down to the dirt. Slope angle was approx. 29 degrees, and the aspect was 160 degrees SSE. Here’s the video. The North asepct pit was dug in 130cm of snow, but not quite down to the dirt. Slope angle was 33deg, and the aspect was 350deg N.
Courtesy of the Forest Service, a little below average, but good for checking your expectations. 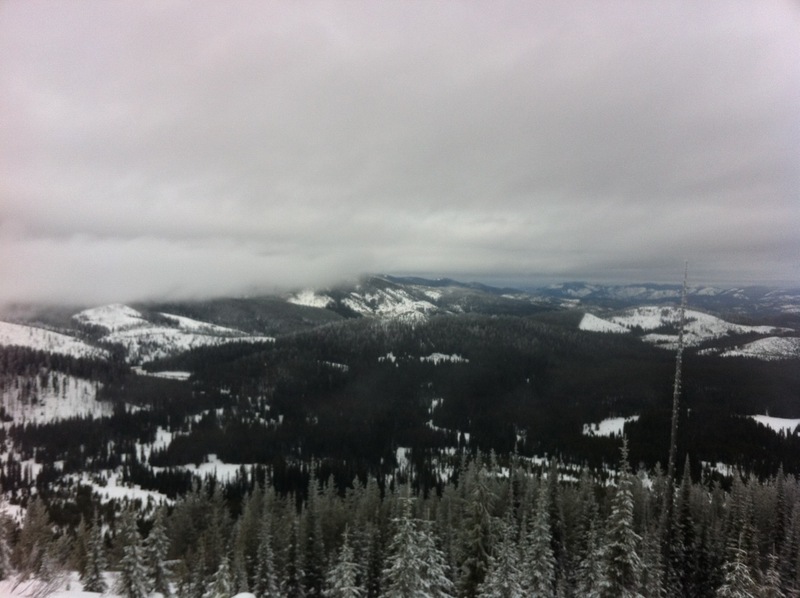 This entry was posted in Skiing and tagged avalanche, avalanche pit, backcountry skiing, extended column test, lolo pass, snow conditions, snow layers on January 8, 2012 by sticker1. oh migosh… sorry! i think we got 3 ft just last week, and more coming. Maybe you should head up here for some snow?